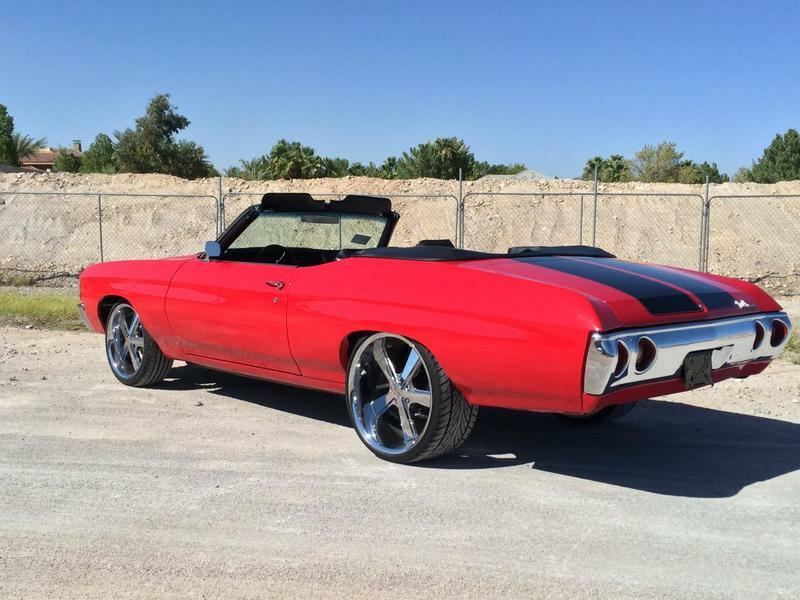 1971 Chevelle Convertible - Fresh Resto-Mod! 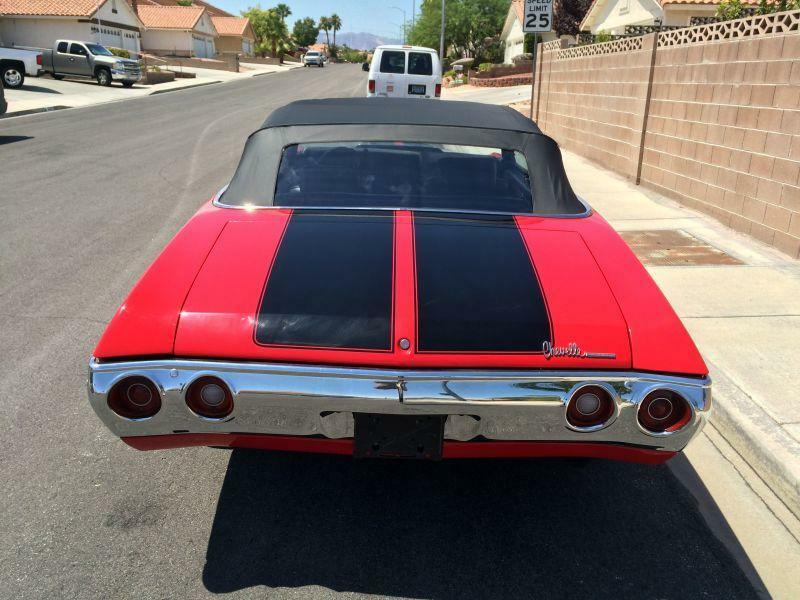 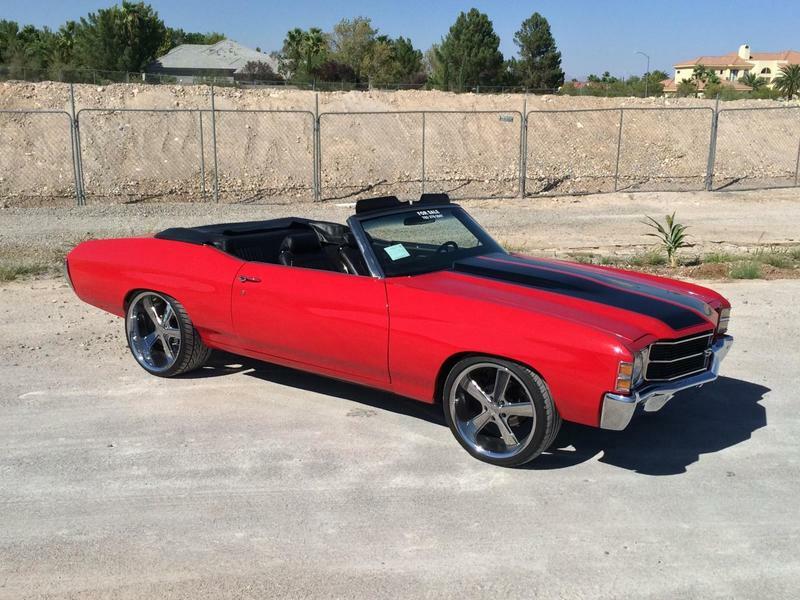 This fully restored 1971 Chevelle Malibu Convertible is painted Victory Red with black stripes. 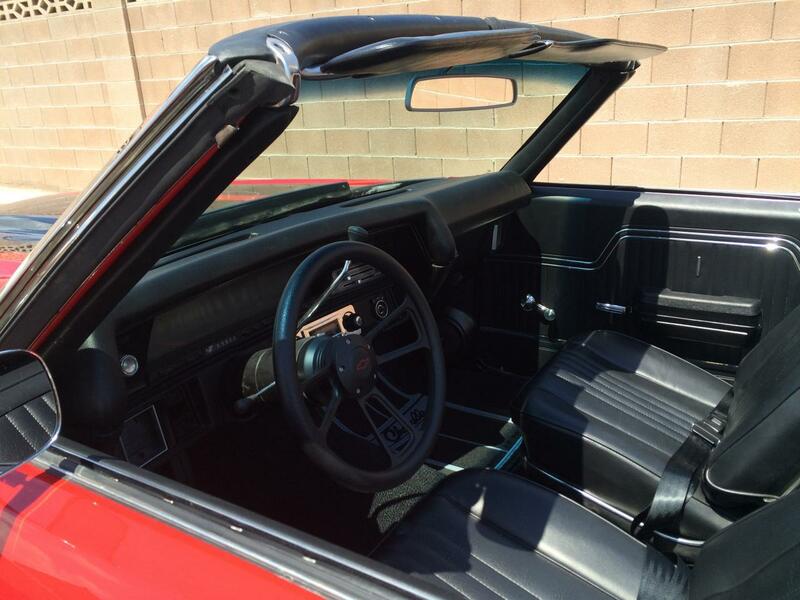 It has black interior, power front disc brakes and power steering. 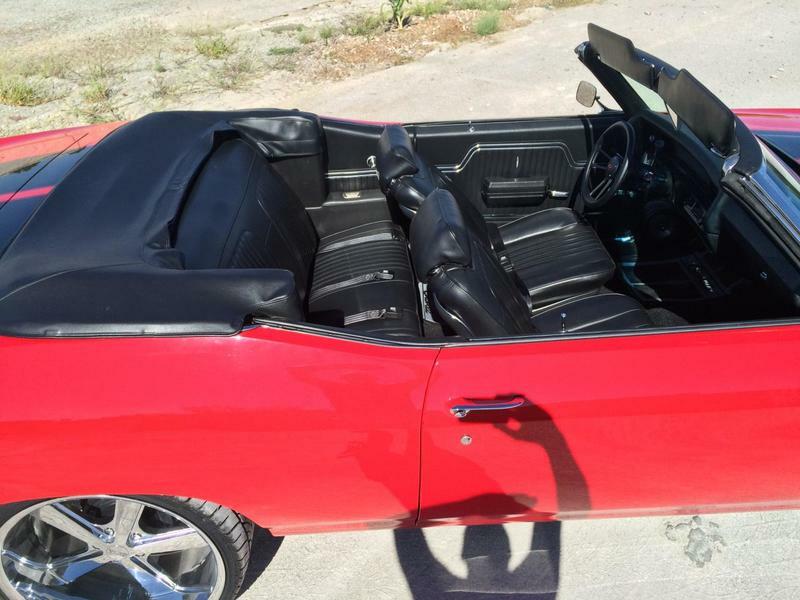 The chrome, bright trim, convertible top and upholstery are new. 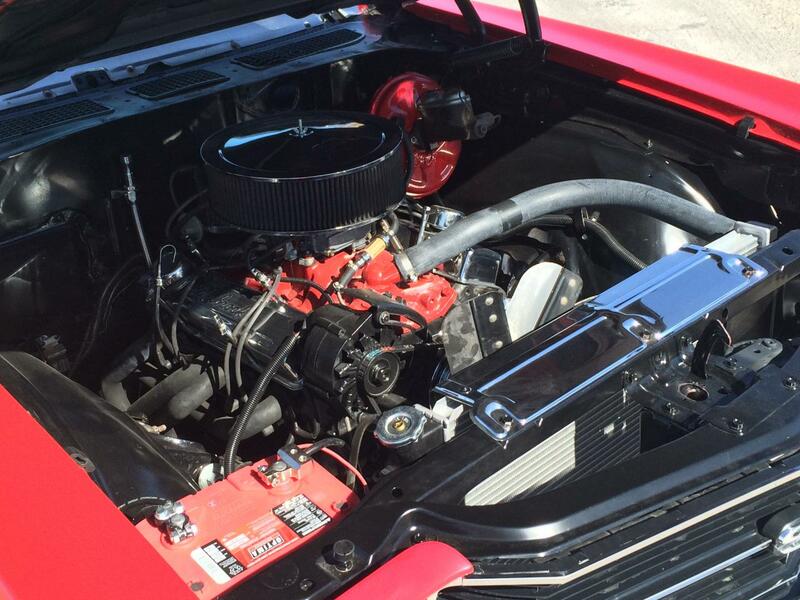 The Malibu comes with a 350 C. I. engine, and Turbo 350 automatic transmission. 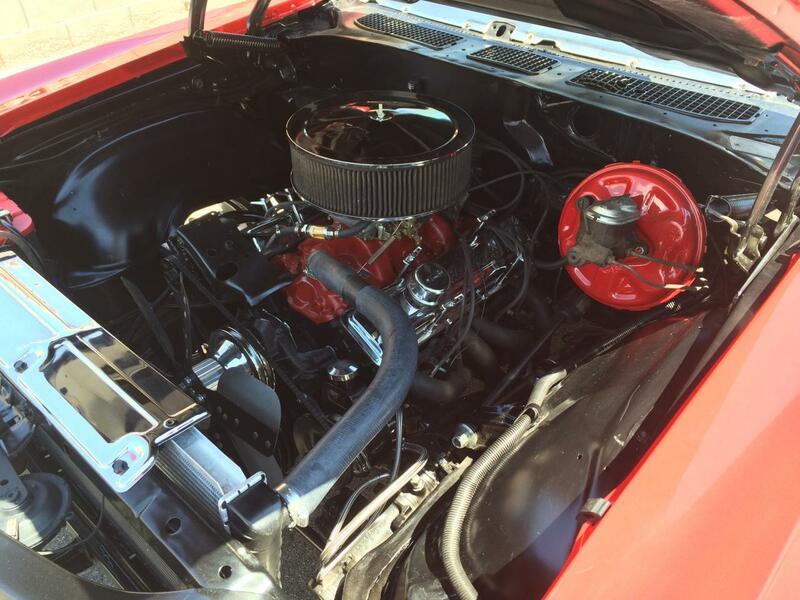 The engine is upgraded with a mild cam, upgraded valve train, Edelbrock intake, Holley carb, HEI distributor, long tube headers, dual flow master exhaust, hi flow water pump and aluminum radiator. 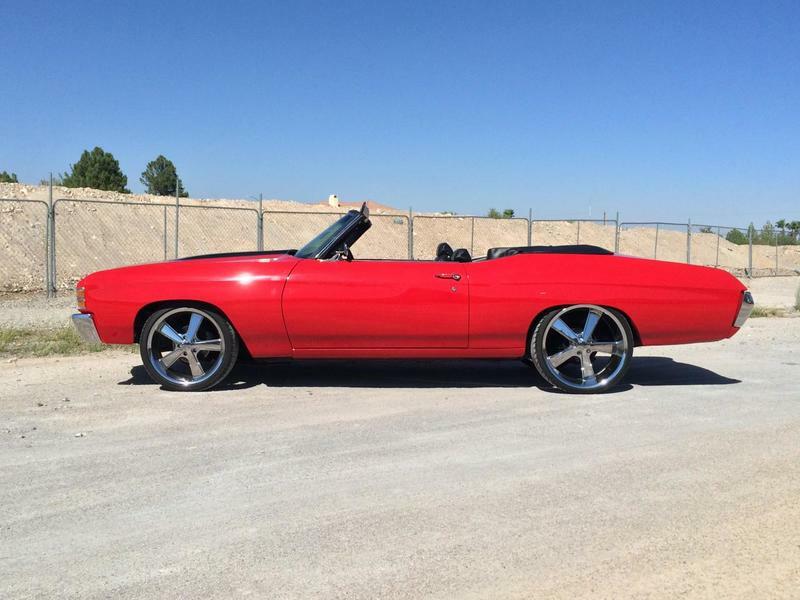 It comes with 20” five spoke wheels from American Racing on the front, and 22" on the rear. 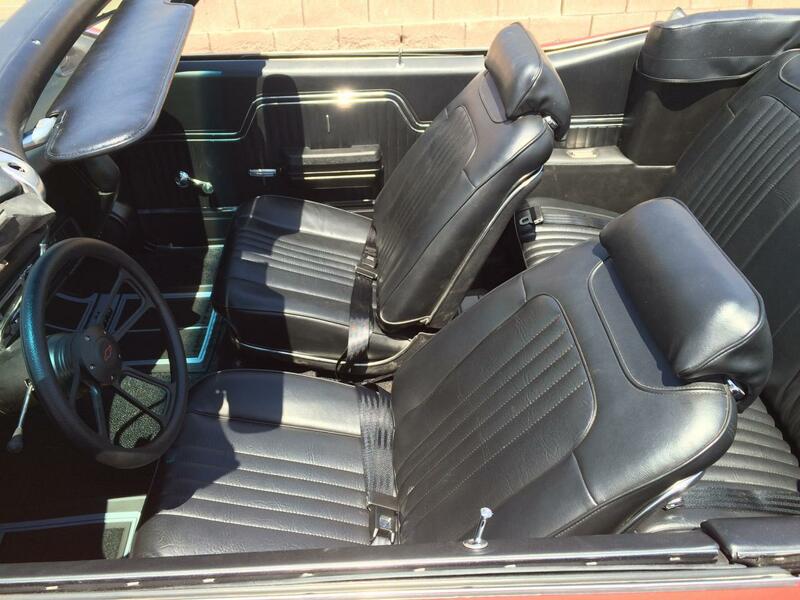 This is a west coast car with zero rust. 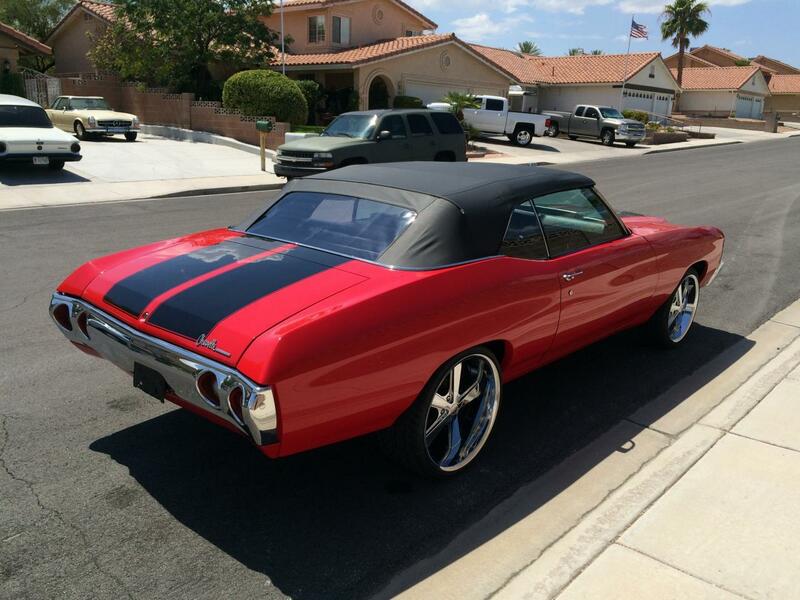 It was recently restored and customized. 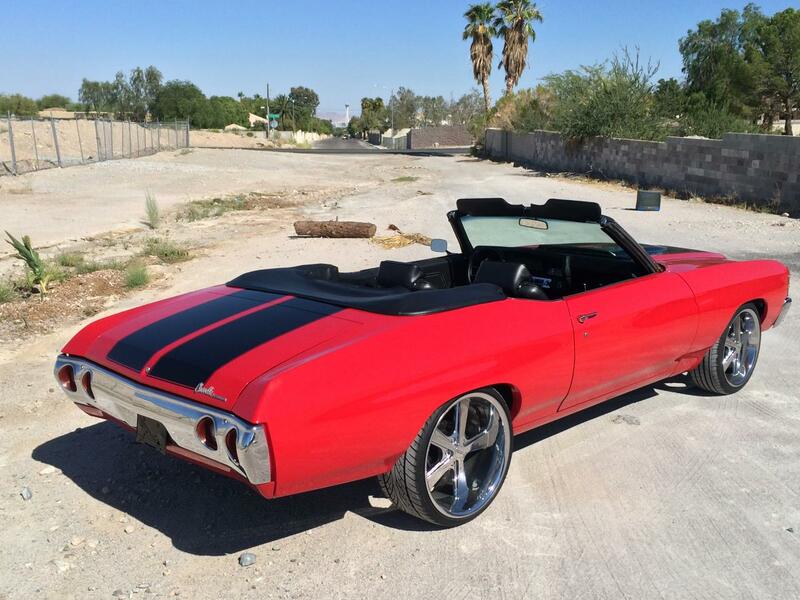 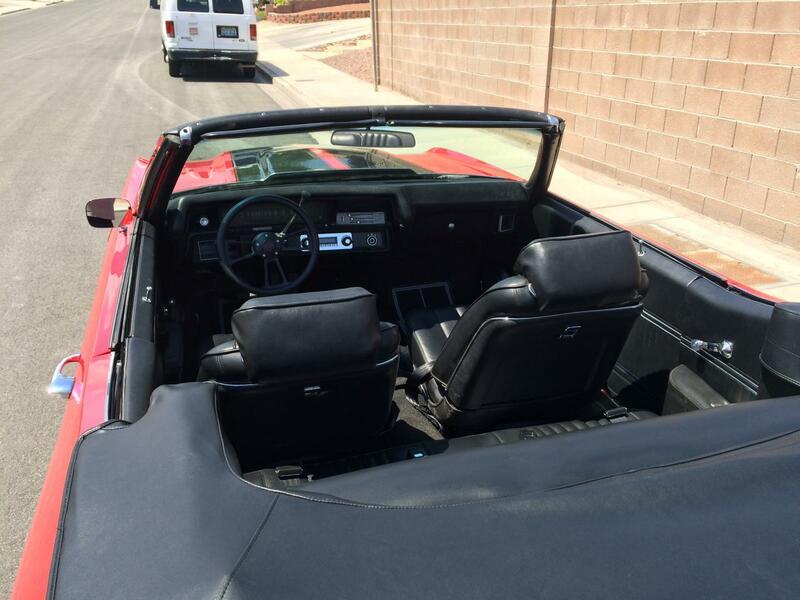 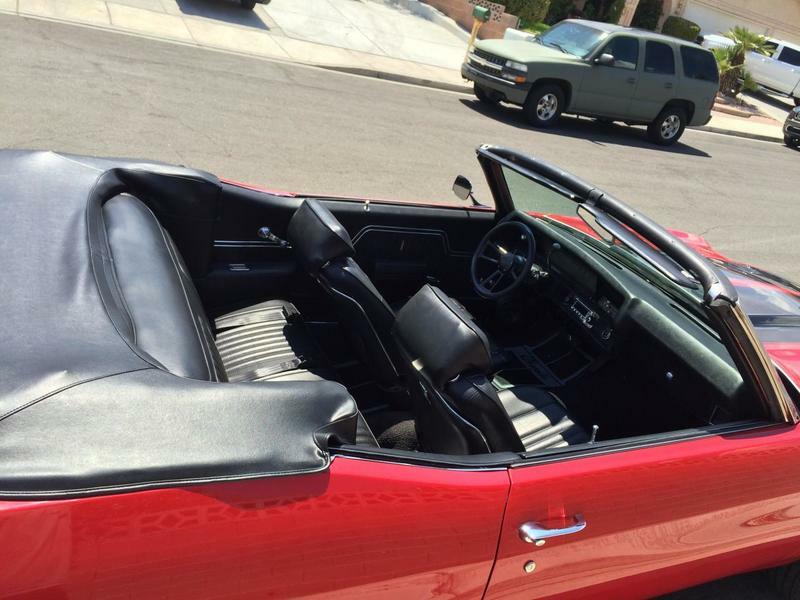 This 1971 Chevelle Malibu Convertible is a very nice weekend driver. 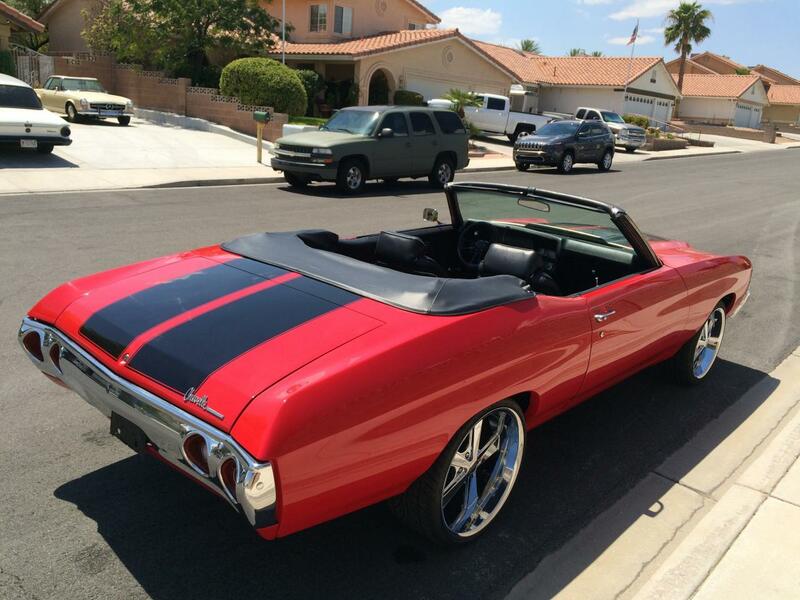 The car is located in Las Vegas. 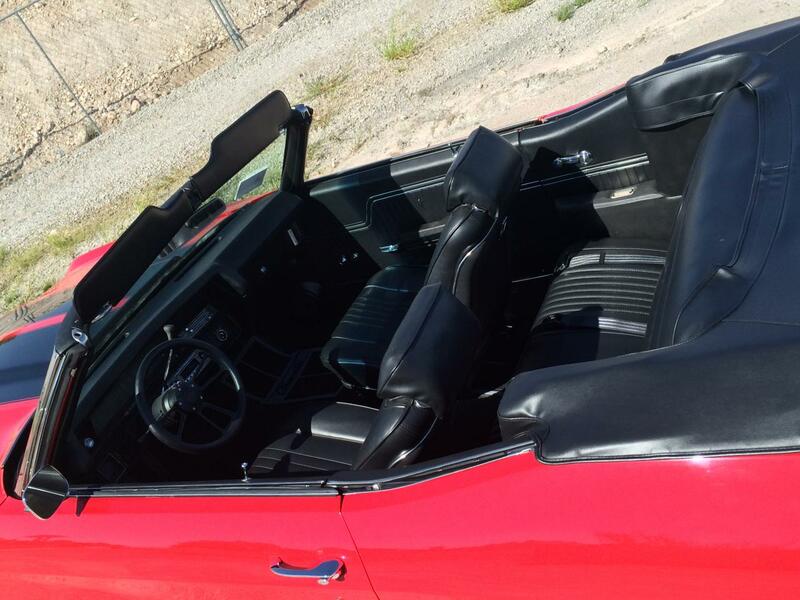 Financing and leasing is available!